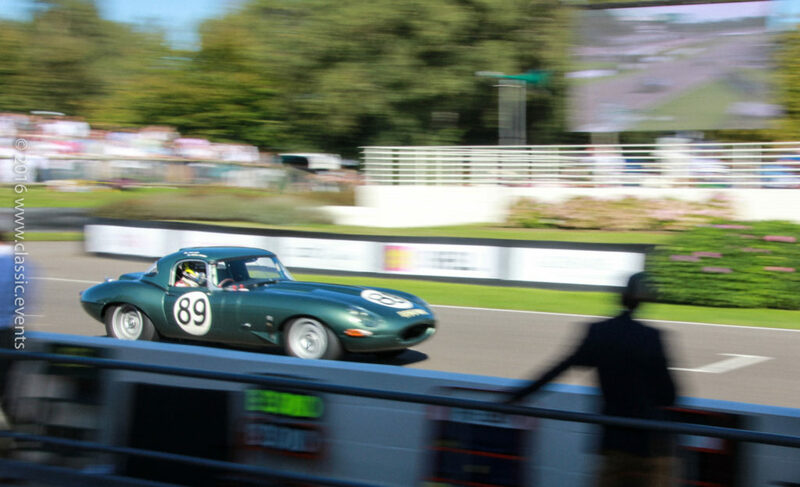 The Goodwood Revival Festival is a three-day festival held each September at Goodwood Circuit and is the most spectacular retro motorsports event of the world. 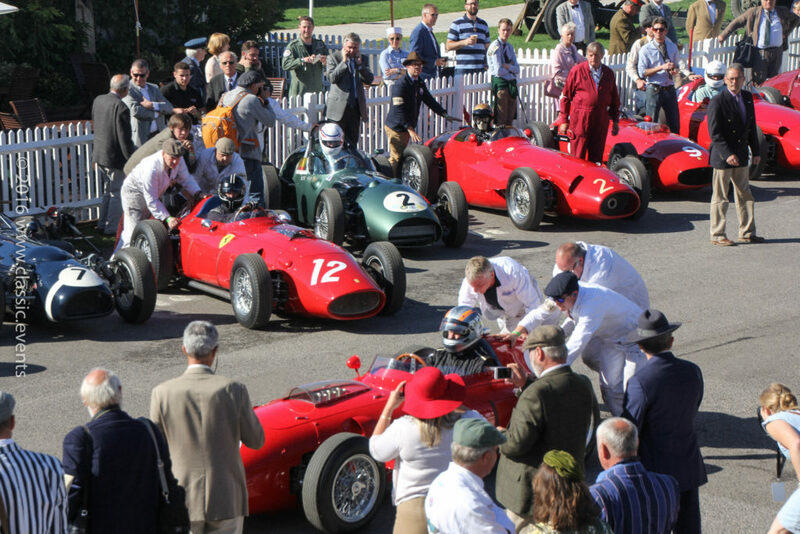 If you didn’t make it in 2016, we have no hesitation in recommending the next meeting – the Goodwood Revival 2017. We’ll certainly be there. With around 150,000 people attending to see more than 400 competing vehicles in 48 track events over three days, and a field with heritage cars as far as the eye can see, exhibitions, displays, a world-class auction hosted by Bonhams, Lancasters and Spitfires flying overhead and much much more, it’s certainly the biggest and the very best classic event anywhere in the world. Goodwood Circuit is around two hours drive from London and situated in the luscious green rolling hills of Sussex, just north of Chichester. This festival has been held each September since 1998 for track and road racing cars and motorcycles like those that were competing during the circuit’s original period – 1948 to 1966. The first contemporary Revival took place fifty years since the original track was opened. In 1948 the premier event was launched with fanfare by the 9th Duke and Duchess of Richmond and Gordon driving around the circuit in Britain’s state-of-the-art sporting saloon, a Bristol 400. These days, the present owner Lord March has overseen a superbly managed celebration of heritage attracting people from all over the world. 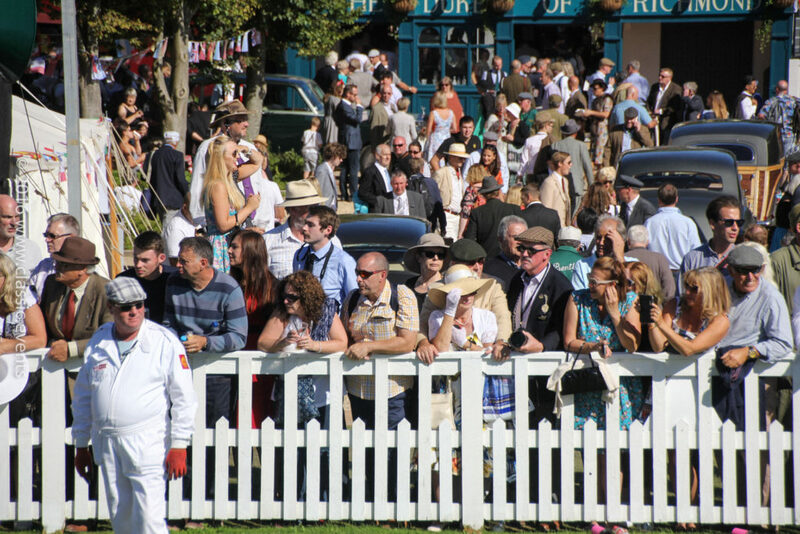 Here we can immerse ourselves in the spirit of days gone by, dressing in period clothes, enjoying a multitude of events against a backdrop of auto memorabilia and historic displays. The Revival is also a riot of sound, speed, sights and smells. From the vantage point of the pits and paddocks, the roar of engines blends with the sights and fumes of petrol, rubber, smoke, racing gear and car decorations. Here you’ll find every type of race, all in one weekend. 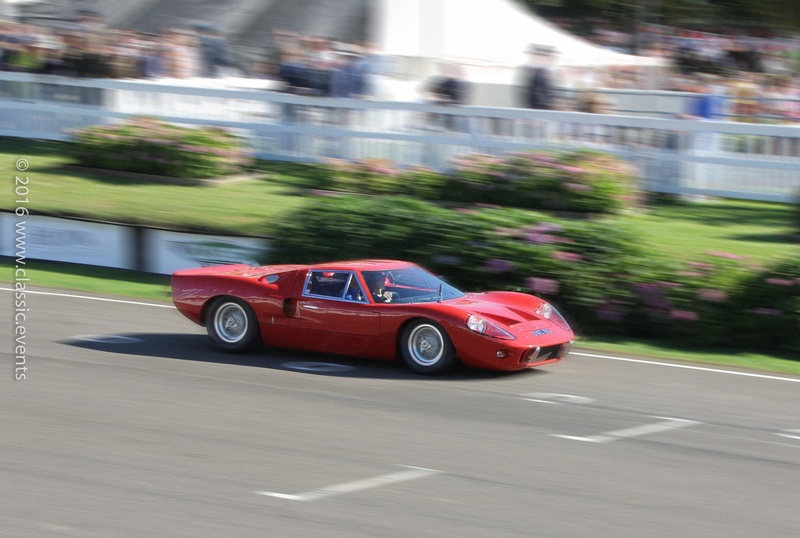 Mid-twentieth-century Grand Prix cars and heritage motorcycles are followed by pre-seventies sports and GT cars, then only to be driven out by a stock car track events or the Lamborghini raging bulls. 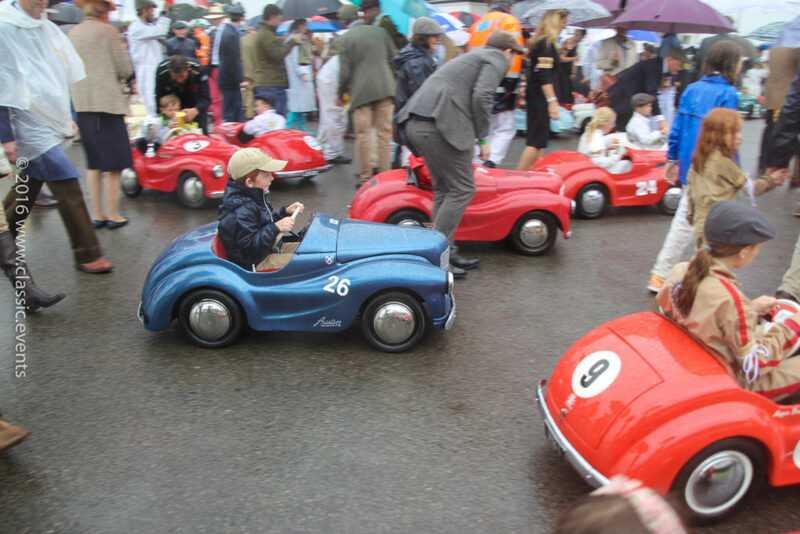 While each event receives maximum attention, one real crowd pleaser is the Settrington Cup, in which youngsters – barely ten years of age – battle it out in Austin J40 pedal cars. This year, number 3 stormed through to the finish at blistering speed. The other highlight for this year’s Revival was the St Mary’s Trophy race dedicated to the comical Austin A35, in which celebrities were invited to participate, a natural home for the distinguished Rowan Atkinson (famous as Mr Bean), also a passionate champion of the classic car movement. But don’t be mislead by the Austin’s whimsical appearance, these cars are fast, and are every bit as exciting as any track event. Early in Sunday’s St Mary’s Trophy race, Ben Colburn ran a little wide, then when getting back onto the tarmac, one wheel gripped and over he went – four times! Fortunately, he climbed out of the car unscathed. 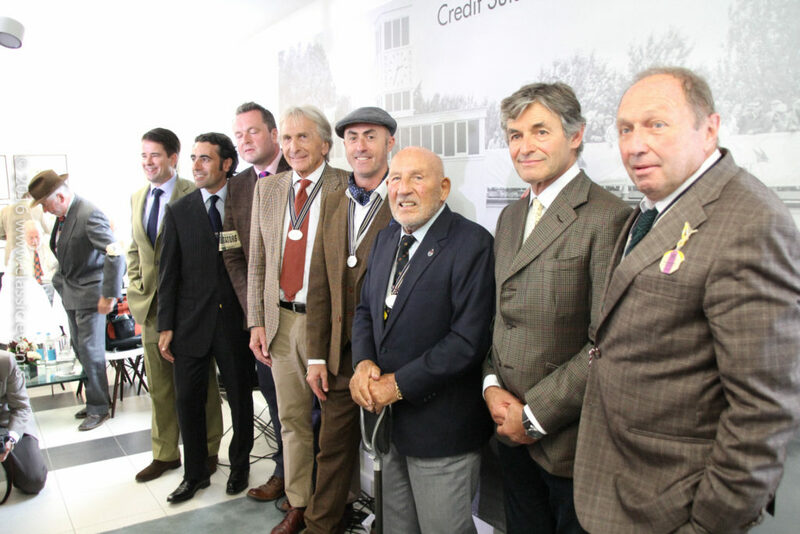 Many famous drivers have taken part in the Revival including: Sir Stirling Moss, John Surtees, Sir Jack Brabham, Phil Hill, Derek Bell, David Coulthard, Damon Hill, Gerhard Berger, Martin Brundle, Bobby Rahal, Johnny Herbert, Wayne Gardner, Giacomo Agostini, Jean Alesi, Barry Sheene and Peter Brock, as well as celebrities such as Chris Evans, Chris Rea, and Rowan Atkinson. Classic.Events also had the unique opportunity to have a one-to-one audience with celebrated motorsport personalities Derek Bell MBE and David Brabham at Credit Suisse’s motoring forum venue. Derek Bell MBE is five-time 24 Hours of Le Mans winner and is the most successful British driver at Le Mans. He has also won Daytona 24 three times and been World Sportscar Champion twice. With such an illustrious career, Derek now dedicates his time to the future development of motoring and sports. Since 2001 he has been Brand Ambassador for Bentley Motors marketing and promotions and provides input to new model development. And if this isn’t enough, Derek also provides consultancy on the winning Le Mans programme where the Bentley team gained first place in 2003. This year the Revival meeting also honoured the late Sir Jack Brabham, 50 years after he became the only driver in F1 history to claim the World Championship in a car bearing his own name. Brabham raced and tested at Goodwood extensively during his career, and developed a number of championship-winning cars at the motor circuit. His son David Brabham, who continues to build on his father’s achievements, was there to honour the Brabham name. He is now promoting the new social platform, Brabham Digital (www.brabham-digital.com), which aims to bring the famous Brabham name back to the international racing scene through a pioneering new motorsport experience. With the roar of engines on the starting blocks just a few yards away, we also met with other motorsport celebrities including: Sports commentator Alain de Cadenet, racers Karsten le Blanc, Tarek Mahmoud and Luigi Orlandini, and motorsports entrepreneur Roger Werner. Covering subjects as wide as the source of their passion, the fact that the sport is so heavily invested in the combustion engine, and how to engage the youth of today to be the ambassadors for the future of motorsports, we gained valuable insights into the motivation behind classic car racing and how the impact of new technologies are reverberating through the sporting industry. 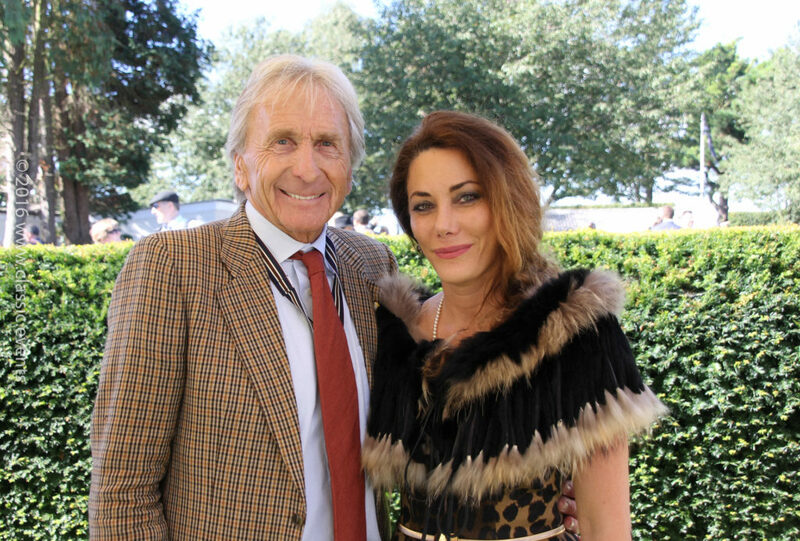 Beyond the racing personalities, it’s also not too surprising to bump into any number of successful well-known figures from around the world. Classic cars, just like the sport itself are quickly becoming a rarified pleasure pursuit for an increasingly wealthy minority. We were at the Paris Retro in March this year where ArtCurial sold it’s historic 1957 Ferrari for an eye-watering $35 million. Here at the Revival, Bonhams managed to reach a smaller, though none-the-less impressive $6.1 million for its sale of the Porsche 550 RS Spyder. Classic events are big business. Attracting a diverse and varied audience, bringing together the top talent, and providing one of the most entertaining and inspirational events in the calendar, we wholeheartedly recommend your future involvement. If not as the audience or as a participant, then as a champion to the cause of keeping heritage and love of cars alive! This is an event for everyone, but especially for those who are passionate about engineering excellence, heritage, beauty and the raw energy of competition. It’s entertaining and an inspiration for the youngsters that are going to be the next generation of motorsport drivers, and a trip down memory lane for those amongst us that want to experience the halcyon days of motorsports. Visit www.classic.events for premium races, rallies, auctions and concours.